CHICAGO (March 8, 2018) – Onward Capital, a private equity firm based in Chicago, announced today that it has acquired Connecticut Electric, headquartered in Anderson, Indiana (www.connecticut-electric.com). Terms of the transaction were not disclosed. Connecticut Electric is an innovative company committed to product leadership, customer service and operational excellence. The Company designs, manufactures, and markets electrical products such as replacement circuit breakers, manual transfer switches, power outlets and accessories. Connecticut Electric partners with leading electrical distributors, wholesalers, home improvement retailers, hardware stores, and e-commerce e-tailers to serve electricians and end-users throughout North America. Midwest Mezzanine Funds and Tecum Capital provided mezzanine debt financing and co-invested equity. Byline Sponsor Finance Group, the cash flow lending division of Byline Bank, provided senior debt financing in support of the recapitalization. Katten Muchin Rosenman LLP served as legal counsel to Onward Capital and its investor group. Connecticut Electric, headquartered in Anderson, Indiana (www.connecticut-electric.com), is a innovative provider of residential electrical products. The Company designs, manufactures, and markets electrical products such as replacement circuit breakers, manual transfer switches, power outlets, and accessories. 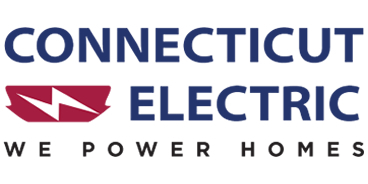 Connecticut Electric partners with leading electrical distributors, wholesalers, home improvement retailers, hardware stores, and e-commerce e-tailers to serve electricians and end-users throughout North America. Connecticut Electric has earned a reputation for outstanding customer service with exceptional shipping times. Tecum Capital is an independent investment firm based in Pittsburgh, PA with over $450 million in assets under management. Tecum is a multi-strategy investor with three funds, Tecum Capital Partners I, Tecum Capital Partners II and Tecum Equity, all of which focus on investing private capital in lower middle market companies that are based in the U.S. For more information, visit www.tecum.com. Headquartered in Chicago, Byline Bank, a subsidiary of Byline Bancorp, Inc. (NYSE:BY), is a full service commercial bank serving small- and medium-sized businesses, financial sponsors, and consumers. Byline Bank had $3.4 billion in assets at December 31, 2017, and operates more than 50 full service branch locations throughout the Chicago and Milwaukee metropolitan areas. Byline Bank offers a broad range of commercial and retail banking products and services including small ticket equipment leasing solutions and is one of the top 10 Small Business Administration lenders in the United States.